Facing criticism from the Conservatives that he has created a crisis at the border, Prime Minister Justin Trudeau says his government has a firm grip on the spike in migrants crossing into Canada, insisting that additional staff and expedited processing are "yielding positive results." Trudeau said the government is also considering accelerating the temporary work permit process so asylum seekers are less dependent on government supports. After meeting with an intergovernmental task force on irregular migration in Montreal, the prime minister said Canada continues to be an open, welcoming country to refugees and immigrants because of the confidence Canadians have in the integrity of the system. He said arrivals are going through a rigorous screening process and that there is no "shortcutting." "We will continue to defend the integrity of our immigration system, and remain careful stewards of an extraordinarily precious asset in the 21st century world, which is to have a population positively inclined towards immigrants, towards refugees, understanding that being welcoming and open is a source of strength," he said. Earlier in the day, Conservative immigration critic Michelle Rempel accused Trudeau of creating a migrant "crisis" in Canada and said he has no plan to fix it. Holding a news conference on Parliament Hill just hours before Trudeau was scheduled to hold his own question-and-answer session with reporters, Rempel said Trudeau encouraged people to cross illegally from the U.S. into Canada by tweeting #WelcometoCanada after U.S. President Donald Trump's immigration crackdown. That Jan. 28, 2017, tweet sent the wrong message right around the world, she said. 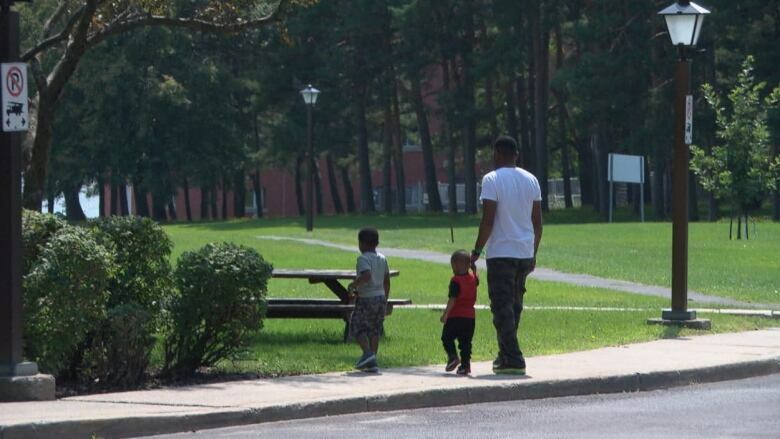 "I think he's giving false hope to people crossing the border," Rempel said. "I want to be clear: This is not a question of if we should have an asylums claim system in Canada, or if Canada should help the world's most vulnerable. It's a question of how." People are now questioning the legitimacy and integrity of Canada's system because the Liberal government has "spectacularly failed" at managing it, Rempel said. "That lies solely at the feet of Justin Trudeau," she said. While not offering specifics on how a Conservative government would respond to the influx, Rempel said the immigration system operated efficiently and compassionately under the Stephen Harper administration. 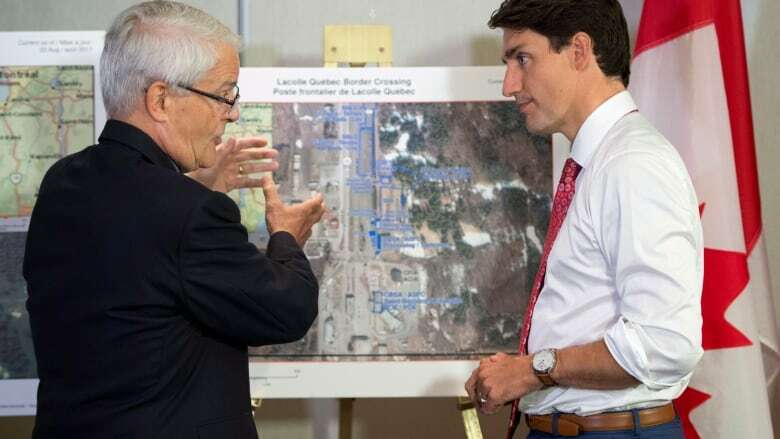 Trudeau also dispatched Haitian-Canadian Liberal MP Emmanuel Dubourg to Miami this week to engage the local community and convey proper information about the rules of legal entry to Canada. The NDP, meanwhile, continues to urge the federal government to suspend the agreement. Immigration critic Jenny Kwan on Wednesday wrote to Immigration Minister Ahmed Hussen accusing the government of sending "contradictory and disingenuous information" on the surge in asylum seekers. "It contradicts the reality of the anti-immigration policies put in place by the Trump administration as well as the lived experience of many in the immigrant community living in the U.S.," Immigration critic Jenny Kwan wrote in a letter to Hussen. "Additionally, the events of last weekend in Charlottesville, Virginia, which elevated the racist, anti-immigrant and white supremacist movements to a level not seen in North America for over a generation, undeniably increases insecurity for all people of colour."